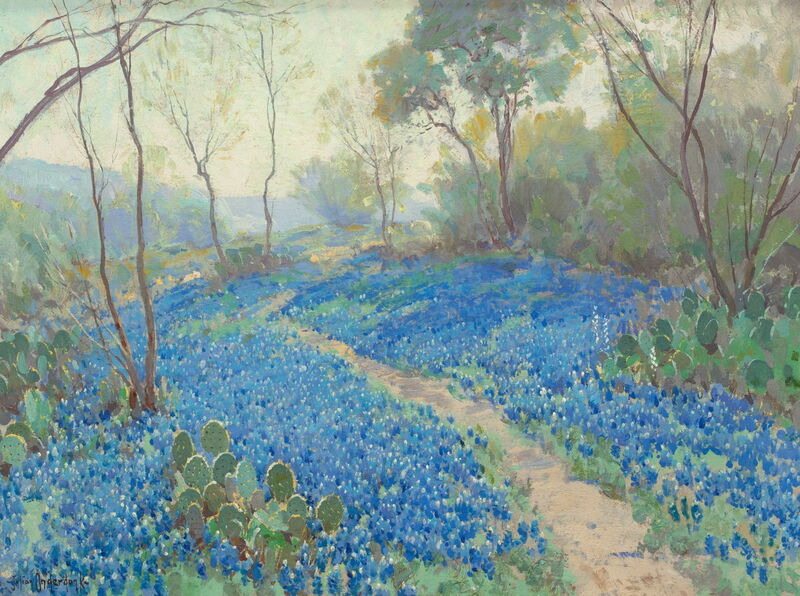 Julian Onderdonk (1882–1922), A Hillside of Blue Bonnets - Early Morning, Near San Antonio Texas (1916), oil on canvas, 45.7 × 61 cm, Private collection. Wikimedia Commons. 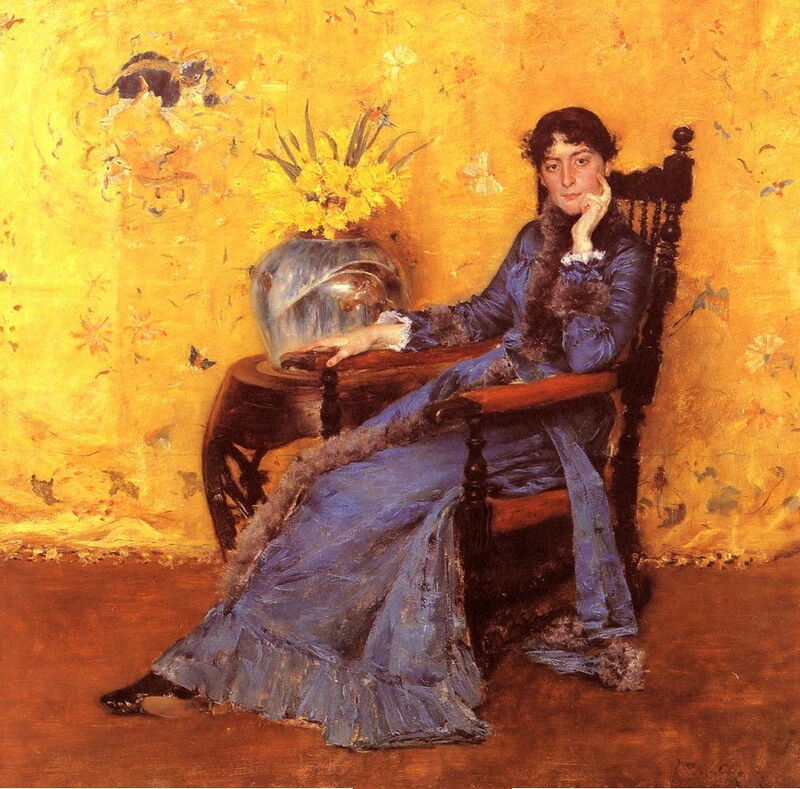 No one knows how many students William Merritt Chase taught, but they must have run into the thousands. He taught from around 1879, when he took his first student on, until well into the twentieth century, just a few years before he died. 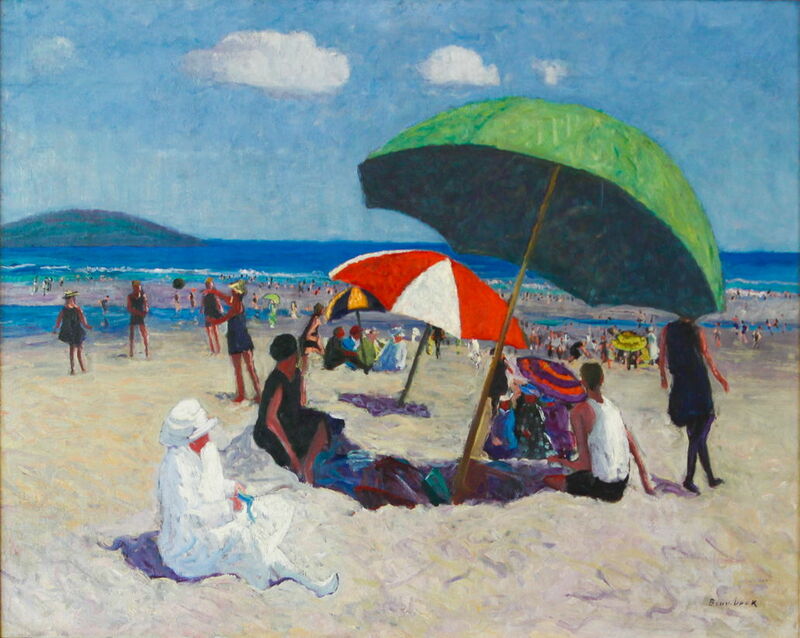 Over that period, he had private students, the hundreds who flocked each summer to the Shinnecock Hills Summer School of plein air painting, and the large numbers who passed through the doors of some of the leading art schools of the day. The latter included his own Chase School of Art (which he opened in 1896), the Pennsylvania Academy of the Fine Arts, the Art Students League, and the Brooklyn Art Association. Although in time Robert Henri and Chase fell out and went their separate ways, Henri was first invited by Chase into teaching, and they held one another in respect. Here is a brief survey of twenty of Chase’s many students, whose subsequent careers we know about today. They are given in order of their year of birth. Attended the Art Students League in New York City before 1886, where she was taught by William Merritt Chase and Agnes Abbatt, and Cooper Union. In 1886 she travelled to Paris and the Netherlands for further study. He trained under Chase, and became the curator of the National Academy of Design. He was also an art dealer, and led the Biltmore Salon. 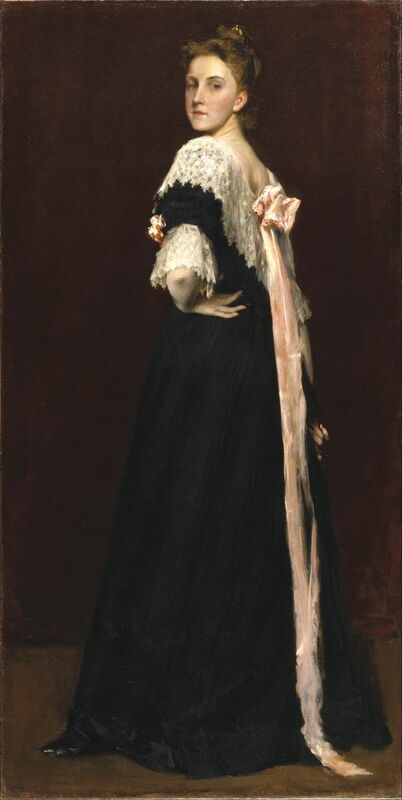 She was taught by William Merritt Chase from 1879-1881, one of his first pupils, and he remained her mentor and friend. She went on to study at the Art Students League in New York, then spent two years at the Académie Julian in Paris. 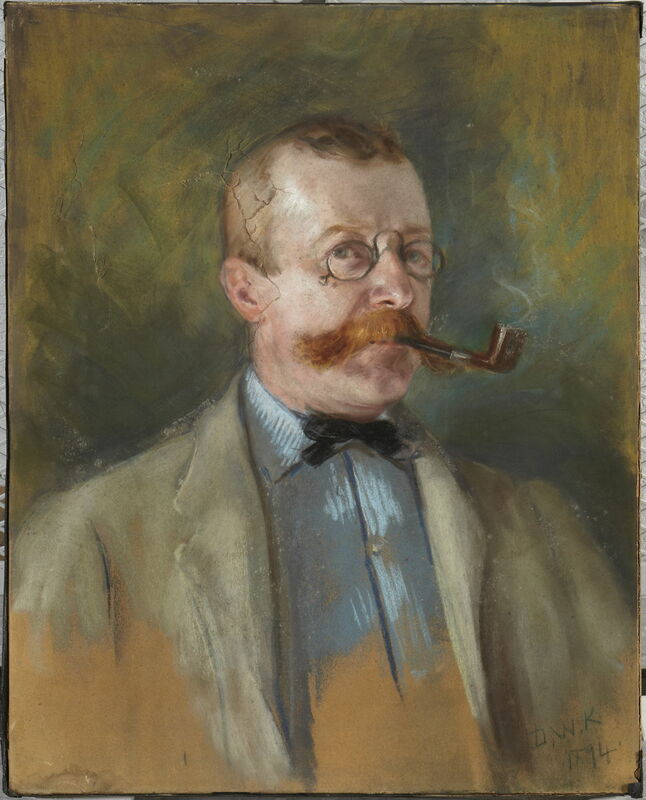 Dora Wheeler Keith (1857-1940), Portrait of Laurence Hutton, 1843-1904 (1894), pastel on wove paper, 63.8 x 51.1 cm, Princeton University Art Museum, Princeton, NJ. Wikimedia Commons. With her older sister, attended the Académie Julian in Paris in 1884-5. They returned to New York to study with Chase and others, then returned to Paris to study under Bouguereau, Collin, and Tony Robert-Fleury. As her paintings remain in copyright, I offer Chase’s superb portrait of her. 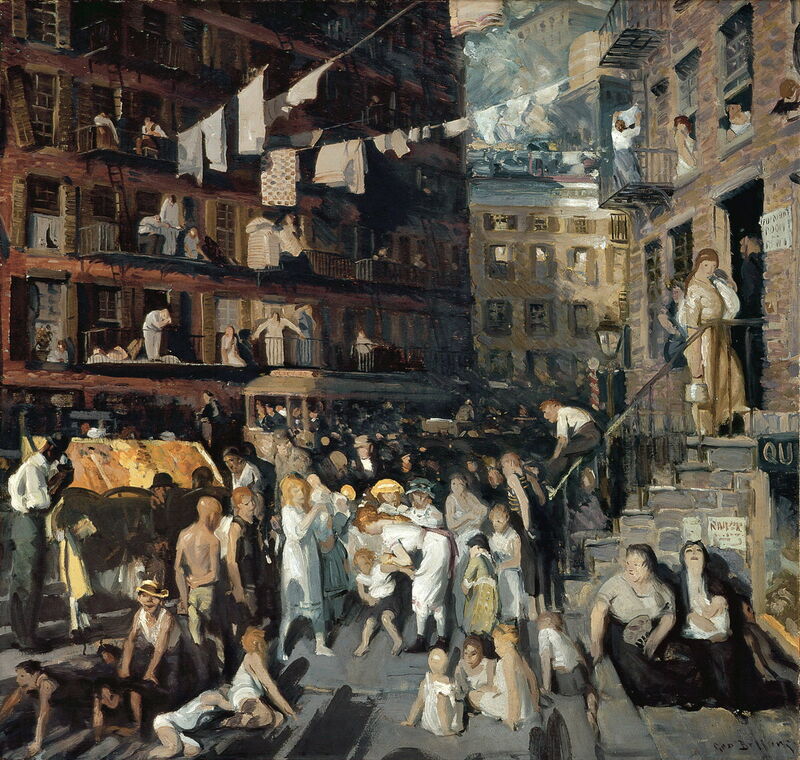 First attended a Shinnecock Summer School in about 1900, then went to the New York School of Art and the Pennsylvania Academy of the Fine Arts. He attended the Pennsylvania Academy of the Fine Arts in 1899-1901, where he studied under Thomas Pollock Anschutz and Chase, and at the Art Students League in New York. His work remains in copyright. 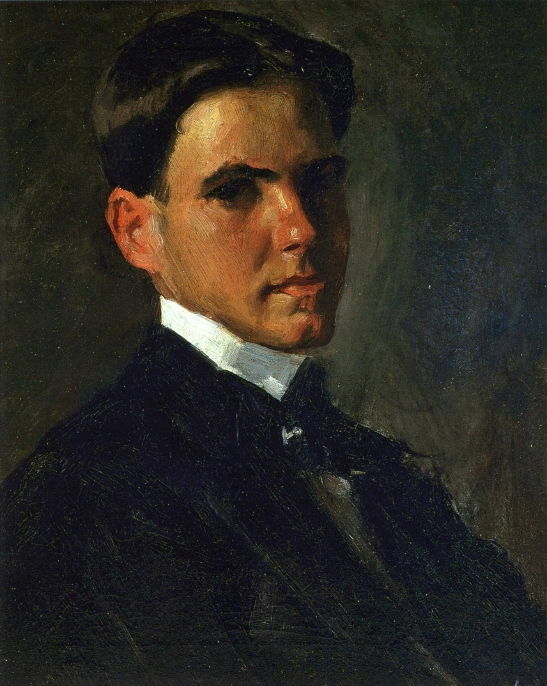 After studying at the Cincinnati Art Academy under Frank Duveneck, he was a student at the Art Students League in New York, under William Merritt Chase. Attended the Pennsylvania Academy of Fine Arts, where she was taught by Cecilia Beaux and William Merritt Chase. In the summer of 1900, she attended Chase’s summer school in the Shinnecock Hills. As the best in her class at the Academy, she won the Cresson Travelling Scholarship, and studied at the Académie Colarossi in Paris for three years. 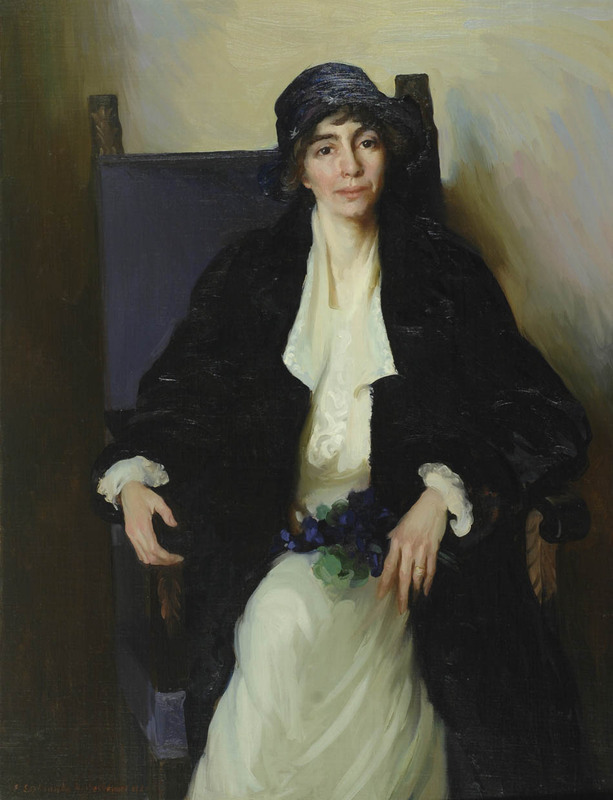 Ella Sophonisba Hergesheimer (1873-1943), Portrait of Madeline McDowell Breckinridge (1920), oil on canvas, 122.2 x 93.7 cm, Johnson Collection, Spartanburg, SC. Wikimedia Commons. She was introduced to Chase when at the Art Students League in New York City, after 1895. Chase taught her still life painting, and remained her mentor for the rest of his life. He particularly respected her work, and had two of her paintings in his personal collection. Her work remains in copyright, and can be seen here. Studied painting at the New York School of Art from about 1898, under Chase, then went on to the National Academy of Design. 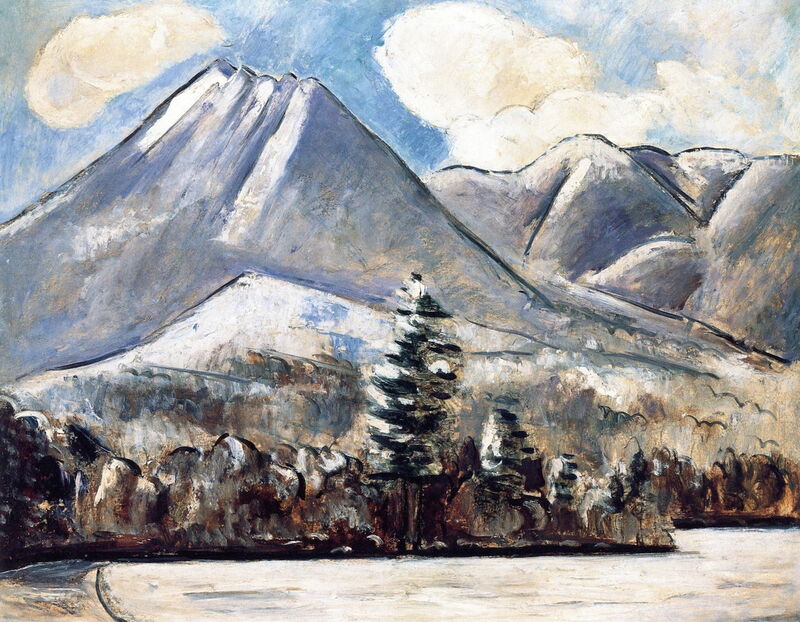 Marsden Hartley (1877–1943), Mount Katahdin, Maine, First Snow, No. 1 (1939-40), oil on academy board, 22 x 28 cm, Private collection. The Athenaeum. Having started to study medicine, he turned to art, at the Art Students League in 1897 and the New York School of Art from 1898 under Chase. He also attended a Shinnecock Summer School in 1901, taught by Chase. His paintings come out of copyright later this year. She studied in Cincinnati under Frank Duveneck, then in New York under Chase. Her work remains in copyright. He studied under Chase and Robert Henri at the New York School of Art from around 1900-1906, and his mature style was strongly influenced by Chase, Manet, and Degas. A major painter by any standard. His work remains in copyright. After studying composition and design at the Art Students League in 1900, he learned to paint at the Shinnecock Summer Schools in 1900-1902, then in 1902 was a student of Robert Henri at the New York School of Art. A major painter by any standard. His work remains in copyright. Attended the New York School of Art from about 1904, mainly studying with Robert Henri. One of the school’s most distinguished alumni. William Merritt Chase (1849–1916), Portrait of Julian Onderdonk (1901), oil on canvas, 49.5 × 40 cm, Witte Museum, San Antonio, TX. Wikimedia Commons. Studied with Chase from 1901, initially at a Shinnecock Summer School, and a further two years after that. His father, Robert Jenkins Onderdonk (1852–1917) had earlier studied with Chase, and with James Carroll Beckwith. Charles Henry Buckius Demuth (1883–1935). From Drexel University, he went on to study at the Pennsylvania Academy of the Fine Arts, under William Merritt Chase. 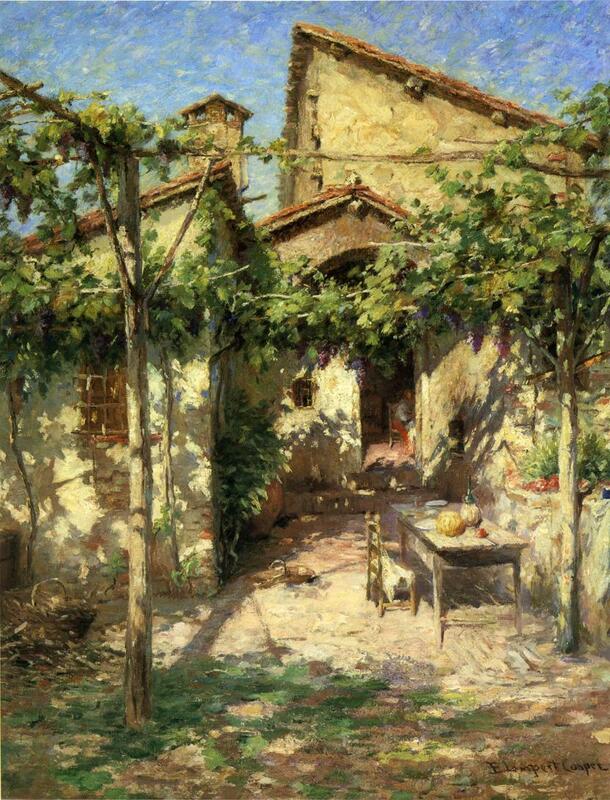 He travelled to Europe in 1907, studying at the Académies Colarossi and Julian in Paris. 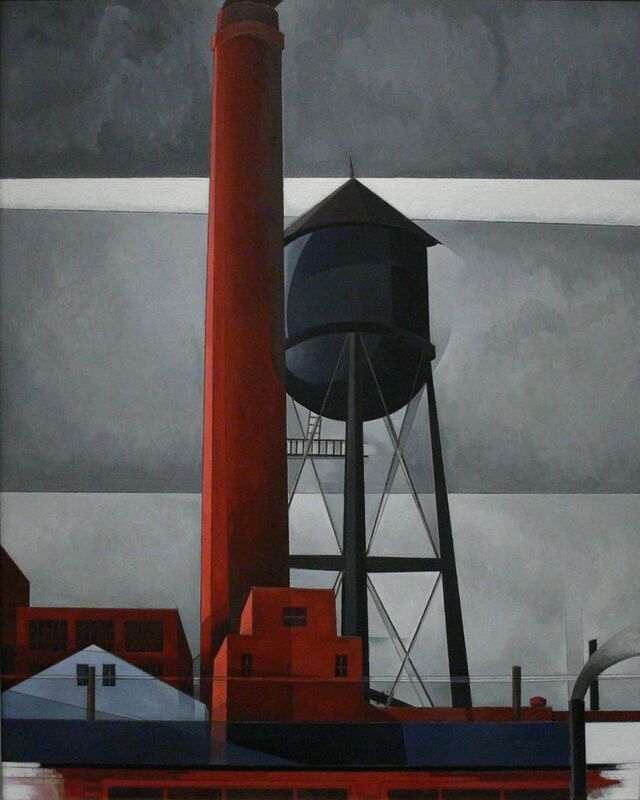 Charles Demuth (1883–1935), Chimney and Water Tower (1931), oil on board, dimensions not known, Amon Carter Museum of American Art, Fort Worth, TX. Wikimedia Commons. She attended the Pennsylvania Academy of the Fine Arts from about 1901, where Chase was one of her teachers. He became her mentor, until his death in 1916, which affected her deeply. Her paintings remain in copyright. Probably Chase’s most eminent and popular former student, she studied under Chase at the Art Students League in New York City in 1907. The following year she won the League’s William Merritt Chase prize for still life. Her work remains in copyright. The Georgia O’Keeffe Museum holds more than a thousand of her works, and has a good online collection. He studied at the Pennsylvania Academy of the Fine Arts in 1906-1913, where his teachers included Chase, Thomas Pollock Anschutz, and Cecilia Beaux. His work remains in copyright. Posted in General, Painting and tagged Chase, Clark, Emmet, Marin, McLane, O'Keeffe, Onderdonk, painting, Seyffert, Sparhawk-Jones, Stella, teaching. Bookmark the permalink.